In recent years, the Internet revolution has caused a shift in how fast technology is developed and marketed. We have seen the appearance of “Web Years” as a measure of time, and the widespread adoption of Rapid Application Development (RAD) as a standard software development method used in even our largest organizations. There has been a parallel shift in how projects are managed. First appearing in software development projects, Agile Development methods are now a very hot topic in software development conferences and magazines. These are methods that stress the speed of development and close interaction with the customer over traditional, more bureaucratic, practices. This recording will outline the underlying principles of Agile Development and details of how it differs from traditional development projects. 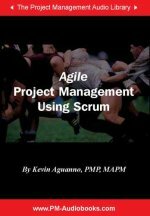 Then, using an agile project management method called Scrum, it will illustrate how agile management methods used in software development may be extended to projects from other application areas outside of I/T. Listeners will come away from the session with a high-level understanding of the Agile Development philosophy and how it differs from traditional development approaches, enough of an understanding of Scrum to be able to determine if and how it could be implemented on a project, and a list of resources for further information on Agile Development and Scrum.